What do you do when your main rival is cooking up a high-power, drag-focused animal called Demon? Quickly whip up something much more powerful, of course, film it doing burnouts at a drag strip and call it The Exorcist. That’s what you do if you’re Hennessey, anyway. The well-known Chevrolet tuner has taken the Camaro and fettled it all the way up to 1000bhp and a frankly bonkers 966lb ft, making mincemeat of the Dodge Demon’s rumoured 750bhp or so, dispatching the 0-60mph sprint in less than three seconds and running the quarter-mile in less than 10 seconds. You can even have it as a six-speed manual or 10-speed automatic. 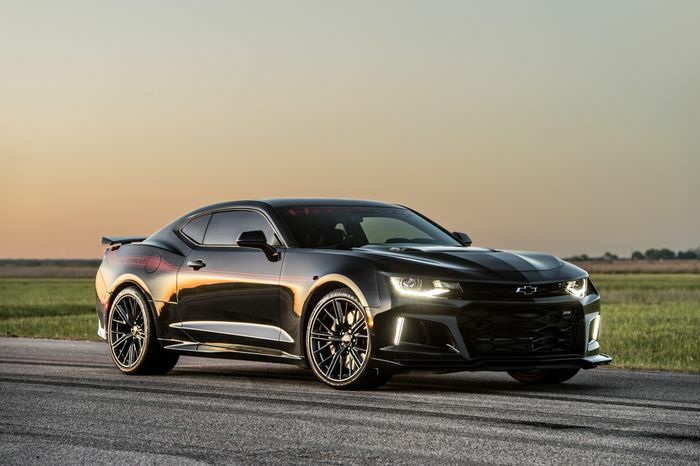 To reach the stratospheric new power output from the LT4 V8, there are size upgrades for the supercharger, fuel pump and cooling. The supercharger now runs at 14psi of boost pressure. The factory cylinder heads have been ported and underpinned with a better camshaft, upgraded headers, a high-flow induction system and a fresh ECU calibration. 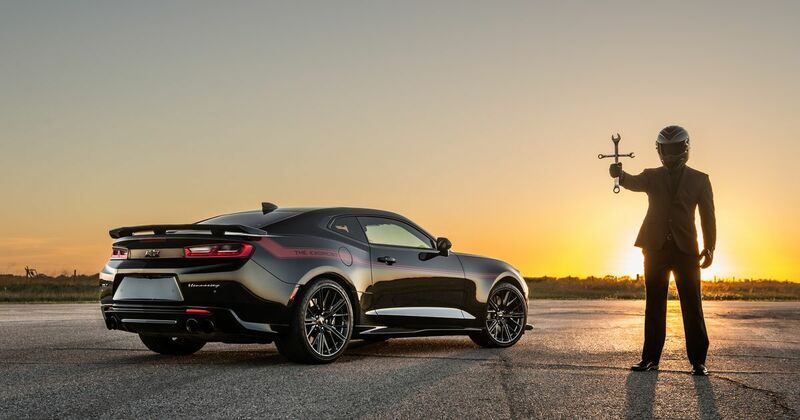 Admittedly, the driver in the photos looks like some kind of Budget Stig, but it’s nonetheless a blatant counter-punch in favour of Chevrolet after Dodge’s over-long weekly Demon teaser process has left a lot of people frustrated. Wearing a modest boot spoiler, black multi-spoke alloys and a gorgeous red three-line stripe complete with its own name over the rear wheel arches, The Exorcist is, in its makers’ own words, ‘built to cast out demons’. 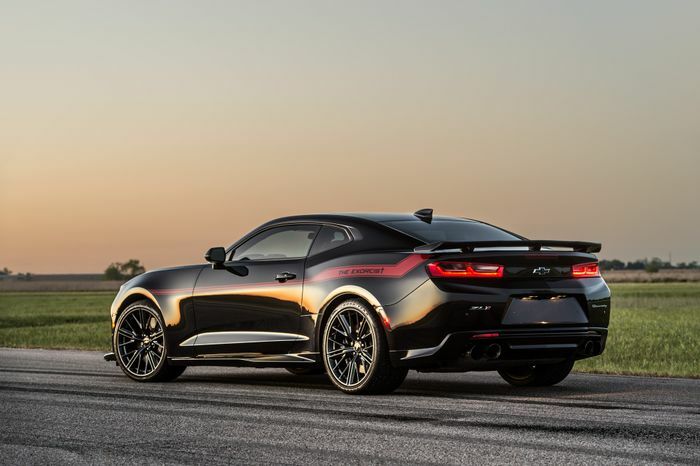 This is absolutely brilliant from Hennessey, reminiscent of the golden age of the 1960s Mustang vs Camaro fight, where each high-profile swipe at each rival made the muscle car scene the most exciting it’s ever been. Long may this game of cat-and-mouse continue!